I am a dog lover and have been involved with Lab rescue and shelter work for many years. A few years ago I became a Professional Certified Dog Trainer and left the corporate world job behind me. I love working with dogs and their owners. Two weeks ago we found out that our Remy, our 8 year old black lab had Osteosarcoma in his left front leg. It was amputated on Friday, 11/16. Today is Day 4 and he has been up and hopping around. 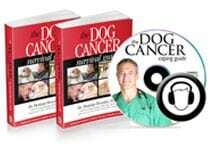 We are reading everything we can about cancer on the cancer dog blog and loving the inspirational stories here on Tripawds. We also have a 7 year old Australian Shepherd that we adopted a year ago. His name is Freddy. And we have Chico, our 30+ year old African Grey Parrot. We are finding the cup half full, not half empty. Ready to kick Remy's cancer to the gutter.